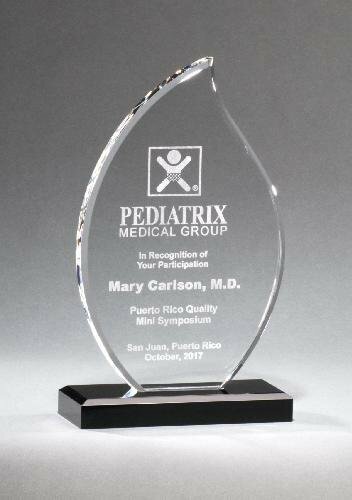 This handsome glass award features a silk screened glass top and high gloss rosewood finished base with brushed silver aluminum pedestal. Silk screening the glass provides better contrast for your customized message and artwork. Supplied with padded, satin-lined, gift box.